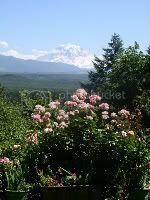 A place for gardeners from the Pacific Northwest to come together to discuss gardening and anything else that strikes their fancy! Here are links to some of the information that we are putting together for the PNW Cubit. These are works in progress, so member participation and critique is highly valued! The more members that share information and ideas, the better our databases will be! !